Moving out of your home or office space at the end of the lease or before you sell the property can be an exhausting and stressful task. In between packing, cleaning and touching up any mark or paint chips, you’ll also need to have any carpets professionally steam cleaned. 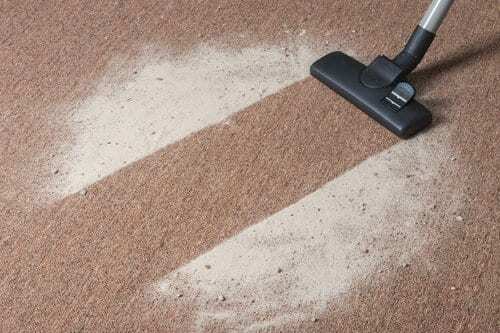 At Carpestology, not only do we offer routine Carpet Cleaning Brisbane Wide, but also comprehensive end of lease services, to lessen the burden of moving and help you get your full bond back. Our end of lease carpet cleaning will leave your Brisbane property clean and sparkling, while our end of lease pest control services will ensure you don’t leave any nasty critters or bugs behind. Make moving easier on yourself and let one of our Carpet Cleaners Help You Today! If you want your full bond back, simply vacuuming your floor won’t cut it. We’ve become well known as the best service in the Brisbane area for restoring carpets and getting rid of any pests at the end of the lease, helping you as tenants to secure your bond. Simply clean your rental property and our team of professionals will get to work bringing your carpets back to life and removing any stains or pests in the process. This will keep your landlord’s onside with the property looking fresh and like new, ready for the next tenants to arrive. At the end of a Carpestology cleaning service, your property will be looking as good as new just in time to hand in the keys to your agent. And you’ll also receive that vital professional carpet cleaning certificate required by most real estate agents to apply for your bond. For end of lease carpet cleaning, together with targeted pest control, the experts at Carpestology are on your side. With our powerful, commercial-grade cleaning equipment and methods tailored to your floor, we will target the stubborn stains and problem areas as well as perform a deep overall clean and pest management to restore your carpets to their original state. So don’t leave it to chance – if you want your bond back, you can’t afford to ignore professionally cleaning your floors. Contact us today for more information on our end of lease carpet cleaning, or get a quick online quote now! Wouldn’t you like to celebrate when it’s approved and you can remain proud of yourself and your family? Act now and have your bond secured. Carpestology’s cleaning services can also help you make the best first impression when the time comes to list your property for sale. Fleas, cockroaches, spiders, ants and stained carpet are just the things that will scare potential buyers away from your property and impact your asking price. Don’t go to the unnecessary expense and time of ripping up your carpets to replace them before you consult our team. A simple steam clean may be all you need to rejuvenate your carpets and improve your home’s appearance. Making the mistake of not properly preparing your home for sale could prove very costly in the long run. Our professional carpet cleaners and pest management experts will be able to recommend the best course of action for the best price, allowing you to list your property with confidence and get the price you deserve. We know time is of the essence and when you’re busy moving premises there never seems enough time in the day. Thankfully, our professional carpet cleaning service doesn’t take a whole lot of time to undertake, and our minimal moisture technology means you don’t have to allow the entire day for your carpets to dry. Simply open the door for us and within a couple of hours after the steam cleaning process you can bring prospective buyers through or hand your keys over for that all important final inspection. And what’s more, you don’t even have to stay at the vacant property during the clean. While you unpack and settle in your new home or office space, our team will be hard at work to ensure we leave your carpets spotless. So before you think of carrying out the carpet cleaning task yourself to save some time or money, give our expert end of lease carpet cleaning and end of lease pest control team a call. Operating with a 25km radius of the Brisbane CBD, we aim to help as many tenants and property owners as possible. Our rates are affordable and our results speak for themselves. exciting and challenging because you have to keep many factors in mind so that you don’t miss critical steps along the way. One of the top ways to ensure you get the best possible start is getting your bond back when you depart. A lot of people clear the windows and walls as well as make sure everything else is in order, but they often forget to clean the carpet before departing. Leaving dirt and stains on the floor can cause you to lose your bond, making it a little harder to move forward. If you would like to defeat that problem and give yourself peace of mind, enlist our professional carpet cleaners the first chance you get. Some people try saving money by cleaning their carpet without the help of a caring professional. The problem is that some stains won’t come off with standard treatment options, and those who don’t call for help won’t always get the results they want. A few people will even buy or rent professional carpet cleaning equipment to do the job without spending much money. After you pay the rental fee, transport the equipment and set it up, you lose a lot of time you could have spent moving into your new property. It’s also easy to miss spots and make other mistakes if you don’t have the proper training and experience to clean your carpet. Hiring us saves you time and ensures you get the clean carpet for which you have been hoping. If you are still not convinced of the benefits you can enjoy by hiring a professional carpet cleaner in Brisbane, this section will help. A professional carpet cleaner can give you results to which you would otherwise not have access. When the expert comes to your home or office, he will use powerful equipment to remove dirt and stubborn stains from your carpet. Hiring someone to do the job right lets you get your bond back when you end your lease, and many people get more money back than they spent on the service. In fact, the carpet might be much cleaner than it was when you first moved into the property. When you want high-quality service you can trust, our team won’t let you down or leave you disappointed. What If You Are Selling Your Home or Office? You might not see the benefit in hiring a Brisbane carpet cleaner if you own your property and want to sell it. Since you won’t get a bond back when you sell your home, you don’t see a reason to call an expert. Take a minute to put yourself in the shoes of prospective buyers, which gives you a clear picture of what you should do. When you walk into a home or office, do you want to see stained carpet that looks like it has never been cleaned? Would you prefer carpet that looks as good as it did when it was new? With this perspective, you can see why hiring us is a smart move even when you are selling. Clean carpet grabs attention and lets you ask for an even better price when you close the deal. Learning about our process can give you peace of mind because you will know what to expect at each step. To do our job, we only need water, power and a place to park our van. We don’t want to stop you from taking care of other aspects of your life while we work. If you have other obligations on your agenda, you don’t need to be present for us to do our job. We learn about your needs and set up an appointment at a time that works for you and your busy schedule. We then come inside and set up our equipment so that we can begin working on your carpet, and the amount of time it takes depends on the size of your building and the number of rooms you would like us to treat. Once we complete the task, it will only take about one or two hours for your carpet to dry. It’s no secret that many companies in the area promise to clean your carpet. You must remember that not all companies will give you the outcome you want and deserve, so you need to choose the right team for the job. People trust us because we put in the effort to clean their carpet and provide high-quality results. Paying attention to the details and taking steps to avoid common complications are additional ways we boost our effectiveness. In simple terms, we provide the same results you would get from a more expensive company without charging high prices. Another thing that sets us apart from the heard is that we place your needs before everything else. We understand that most people have busy lives and many issues on their agenda, and that is why we can work with you. If you need us to provide carpet cleaning services outside normal business hours, we can do it. We also make sure we work as efficiently as possible so that you can get the results you want without delay. When you ask us about the results we can provide, we don’t expect you to take our word for it. Any company could say whatever they want to attract clients and get sales. Instead of expecting you to trust us, we invite you to look at what other people are saying about our Brisbane carpet cleaning service. We have plenty of happy customers and are ready to give you the same experience if you enlist our support. If you are ready to remove stubborn stains from your carpet before you move out, you will be happy you found us. Our team is ready to serve you in any way they can to give you the clean carpet you need. Let us know what day and time make sense for you, and we will set up an appointment that works for you. Our dedication to each client who comes to us is how we have earned the respect of Brisbane and the surrounding area, and our service is an investment you won’t regret if you would like to attract buyers or get your bond back. If you have any questions or are ready to take action, pick up your phone and reach out to us right away. Contact us now! – Carpestology End of Lease Carpet Cleaning Services.